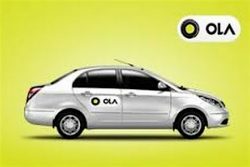 Ola, India’s leading mobile app for transportation, has signed a memorandum of understanding (MoU) with Maharashtra Natural Gas Limited (MNGL) to promote adoption of CNG vehicles in Pune. Under the alliance, both the companies will work closely to promote the use of CNG Cars and will roll out several initiatives to create awareness about the benefits of running CNG vehicles amongst drivers as well as the customers. The MOU was signed in the presence of Chief Guest of the function Hon’ble MP –Shri Anil Shirole, Mr. Rajesh Pande – Independent Director of MNGL at Hotel Novatel Pune. Speaking on the occasion, Shri Shirole expressed the need of adaption of green fuel CNG for the city and appreciated the efforts of OLA and MNGL. The MP’s stated mission is to work toward achieving a pollution-free Pune. Over the years, Pune has emerged as one of the cities with highest vehicle population (3.7 million) and hence is battling high air pollution levels which, as per some recent reports, has increased by 40% since 2010. With the city’s growing commuting needs, it is imperative to adopt smart and sustainable solutions like CNG vehicles. It is noteworthy that MNGL is already operating 46 CNG Stations and the number is expected to touch 60 in the financial year making this eco-friendly fuel available in most parts of Pune and Pimpri-Chinchwad including all the highways. Ola switched to CNG-only operations in Delhi NCR in September, 2015 and has since been committed to creating an ecosystem that catalyses CNG adoption everywhere. 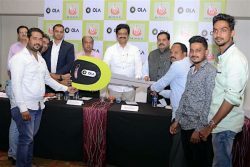 The expansion of Ola market share in more and more cities, launch of Ola Electric in Nagpur and this partnership with MNGL in Pune makes Ola the largest platform in the country offering diverse eco-friendly, smart and sustainable mobility solutions.